Browse our amazing collection of potato recipes, including Andrew MacKenzie's potato soup, roast potato recipes from the likes of Josh Eggleton, and Shaun Rankin's roast Jersey Royals with glazed pear and Roquefort. 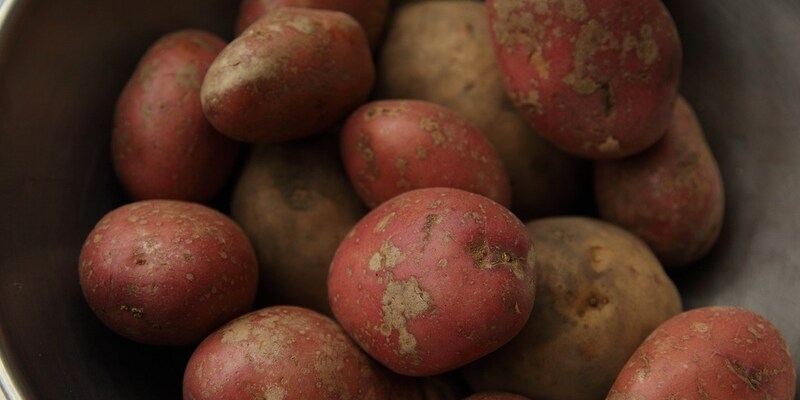 Grilled, mashed, boiled or roasted...there are many ways in which potatoes can be prepared. Our article on how to cook potato explores each of them, so you can cook your potatoes to perfection no matter what culinary technique you use. If there's one potato dish that is ever-popular, it's mashed potatoes. While it may seem straightforward to make, it can actually be easy to get it wrong. Have a look at our top ten tips for how to cook mashed potatoes to get them right every time.